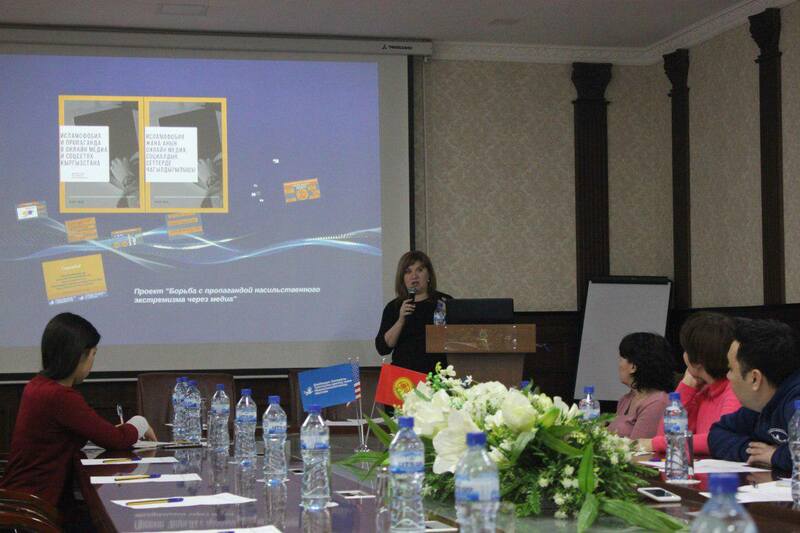 On March 29, 2018, a working discussion meeting was held with participation of the representatives of media, civil society and state bodies to discuss the recommendations on countering the propaganda of extremism developed by the experts of the project "Combating the propaganda of violent extremism through media and awareness” on the basis of media monitoring. 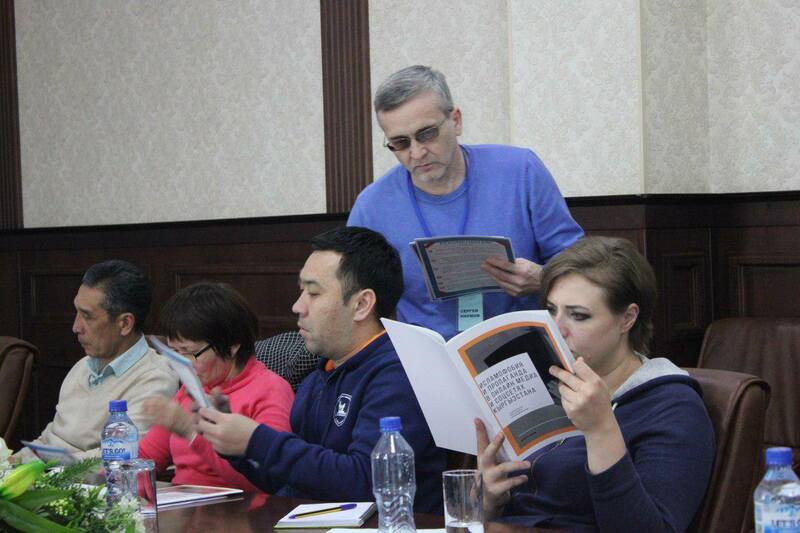 The participants were provided with the findings of the media research "Islamophobia and Propaganda in Online Media and Social Networks of Kyrgyzstan”, where experts have emphasised the alarming trend when media outlets draw parallels between the Islam and extremism. In 60 per cent of articles analysed, authors mentioned Islam even when neither the Islamic religion, nor extremism was the topic of the story. Thus, a narrative connection is created between the Islam and extremism, fear is imposed on the audience, and Islamophobic public discussions are encouraged. Among main recommendations that can help mitigate the consequences of a negative discourse are the need to use peacemaking approaches to overcome hate speech in media, which can be an early prevention of the spread of extremists’ propaganda, to work constantly to reduce the discriminatory language used in the media and on the internet. Project experts think that such measures will create the conditions for effective and quick response to the radical discourse. 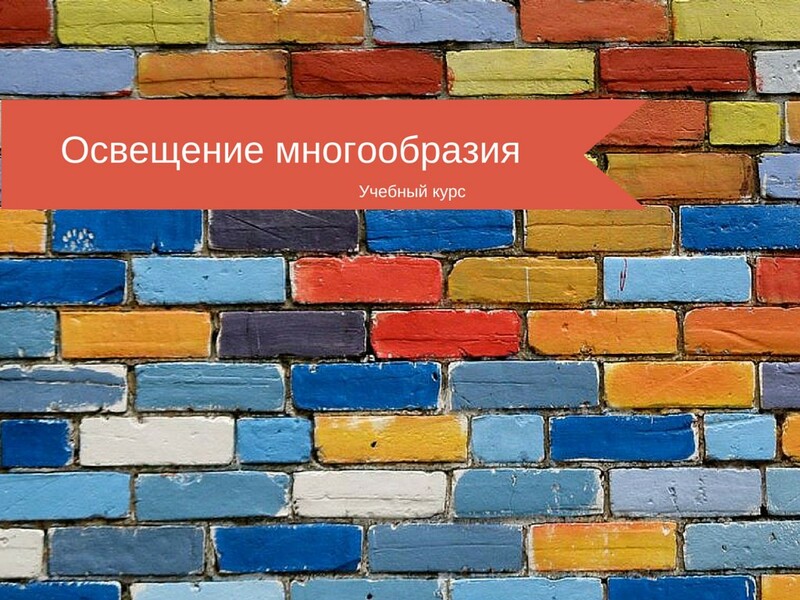 See recommendations hererekomendacii.pdf [44,31 Kb] (cкачиваний: 0). 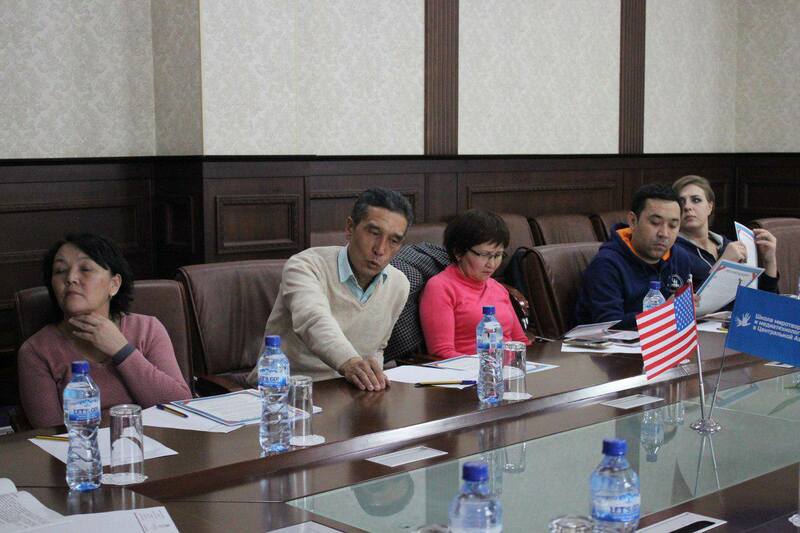 The event was organised by School of Peacemaking and Media Technology in CA under the project "Combating the propaganda of violent extremism through media and awareness” funded by the U.S. Embassy in Bishkek.